I don’t really have time to blog these days so forgive the brevity and superficial nature of what could be a more indepth conversation. But I came across what I consider to be an important connection in the relationship between divine healing as portrayed in the Gospels and Acts. A debate that often gets tossed around today is the gift of healing or if healing is part of the atonement. It’s really hard to argue with the Gospels and the book of Acts that healing was very much a part of Jesus’ earthly ministry and that of the apostles. The kingdom of God in this present age is not an earthly, military or political kingdom but is the rule and reign of God in people’s hearts and lives, and it is manifested both in people following Jesus and his teaching, and in the miraculous healings that God brought through the disciples, giving them a foretaste of resurrected life in the age to come. I find it interesting the way Christianity is presented today as something therapeutic to make peoples lives better. Of course you can get that with any religion. But what distinguishes Christianity from other religions, is that God became flesh, died and rose again. This is what was going on in this Acts scene. Apparently, that the resurrection of the dead was found in Christ was a huge stumbling block to belief, particularly with this early Jewish audience. Look at the reaction! They put these folks in jail. 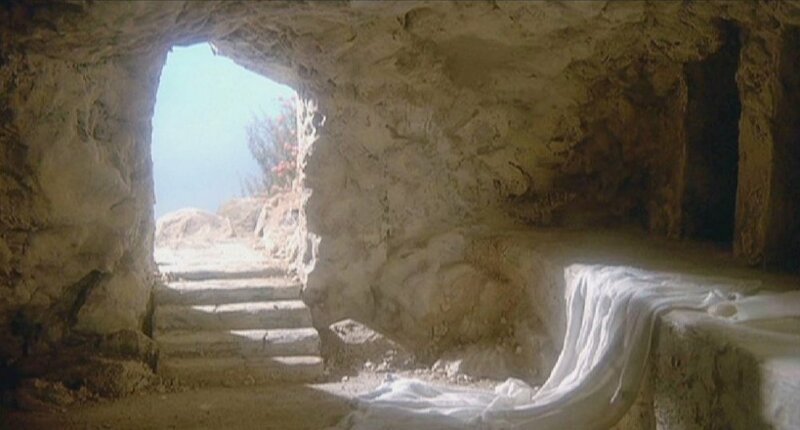 It was not so much because they mentioned the name Jesus but because of the resurrection through him. This is the reason that these apostles were told not to preach in that name. That is what garnered the hostility. Paul writing to Gentiles in 1 Corinthians 15 acknowledges that it is the essential and quintessential mark of Christianity – the resurrection. Reading that whole chapter (please do so! ), it’s not just about Jesus’ resurrection but the bodily resurrection of believers, without which there is no Christianity. So when the apostles were testifying about the Son, they were also testifying about the resurrection. This makes me give a huge nod to the ESV note. Healing testified to the resurrection that was only found in Christ. I think that challenges popular arguments today of using Acts as proof-text for healing so that we can have better lives or because physical health somehow glorifies God more than sickness AS IF God’s strength shining through physical weakness undermines his character (2 Corinthians 12 anyone?) I think it also points out how much we can deviate from the foundation of the testimony of the early church. Our best life now is about our resurrected life later through belief in Christ. Good thoughts. I might say that everything in the gospel accounts point to God’s rule becoming real through his Messiah. So the healings, teachings, compassion, embracing of outcasts, etc, all point to God ruling through his Messiah to make things right, leading his people out of exile into exodus. You quote Acts 2:36 – Let all the house of Israel therefore know for certain that God has made him both Lord and Christ, this Jesus whom you crucified. And this passage is key. God has made Jesus both Master and Messiah. He’s in charge as king. So Acts continues the story of Christ. The ESV Study Bible quote says that the kingdom is ‘not an earthly, military or political kingdom’. But I think we must recognise that the kingdom of God is very political. Not in the sense of the convolutions of today where we pit Democrats and Republicans against one another. But politics is about polis, which refers to the city. And a city is not a city without people. It’s the people that make up a city. Proclaiming Christ as king and Lord is very political, being anti-thetical to the first century time where people proclaimed Caesar as king and Lord. So I believe the kingdom is very political in its proper context, and we ‘etherealise’ it too much by saying it’s ‘in people’s hearts’.